Orange Alabaster Bear Fetish With Medicine Bird. $40. SOLD. It’s another perfect little hump-backed bear by Justin Gomez (Taos Pueblo), this time gazing skyward. 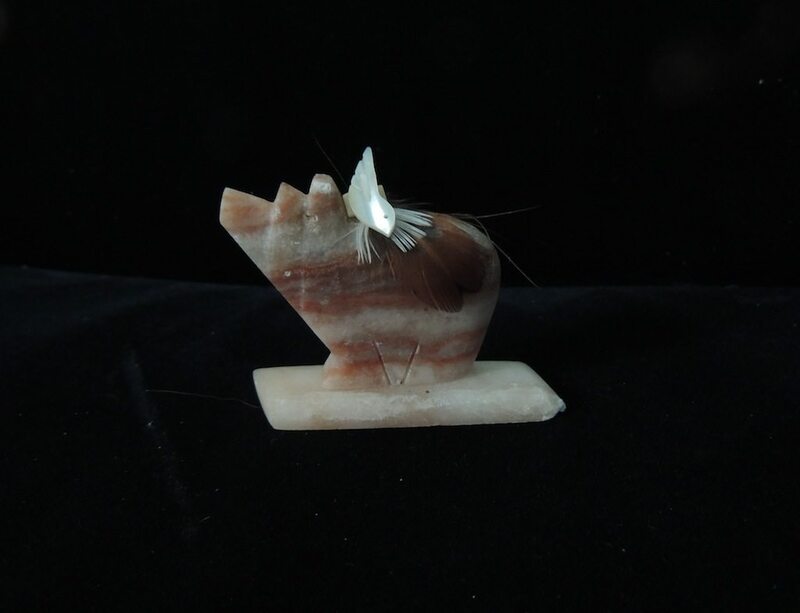 This bear has been coaxed from boldly-striated orange alabaster with colors so intense that the lacy bands are nearly brick red, interspersed with lines of icy white. 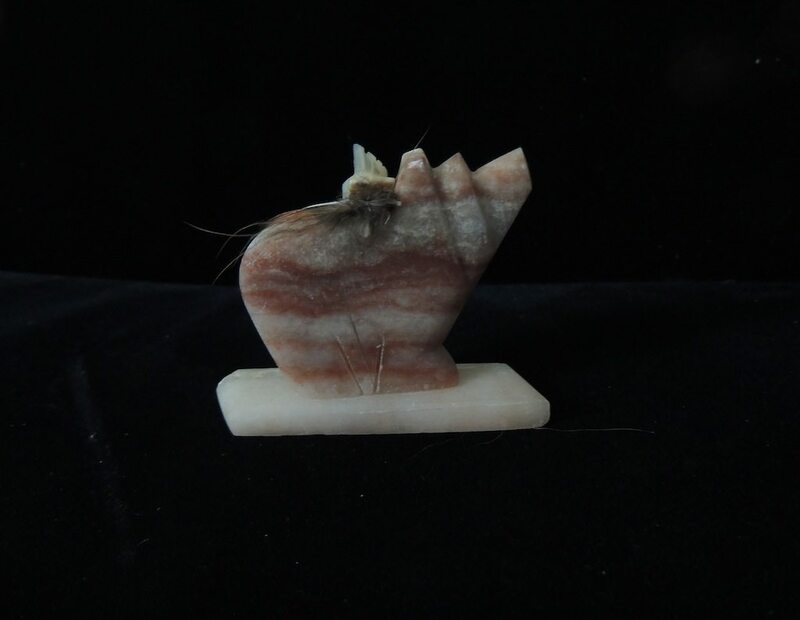 He stands firmly on a rough-cut slab of palest orange alabaster, beneath a medicine bundle of feathers, a shell bead, and a carved mother-of-pearl medicine bird. Including base, he stands 2.5″ long by 1-7/8″ high (dimensions approximate). Another view shown below. Posted on Sunday, October 19th, 2014 at 8:10 pm. Filed under: Fetishes	RSS 2.0 feed.